For more information, you may contact our staff, Ms. Jasmin Domingo at 0912-132-6380 or at 047-603-0919. The event is being organized in line with the celebration of children’s month this November, and intends to raise awareness on child’s rights and welfare. At the same time, it aims to generate funds for ACTION’s programs and services benefiting marginalized children and youth. Incidentally, it is also the celebration of ACTION’s 22nd anniversary. The proceeds from this fund raising activity will support the beneficiaries of ACTION’s CHIKARA (Power) Program. This program offers free developmental trainings to equip children and youth, including those in residential facilities, impoverished communities as well as other marginalized sectors; with essential knowledge and skills to improve their self-esteem, achieve a healthy mind and body, and offer alternative livelihood opportunities. 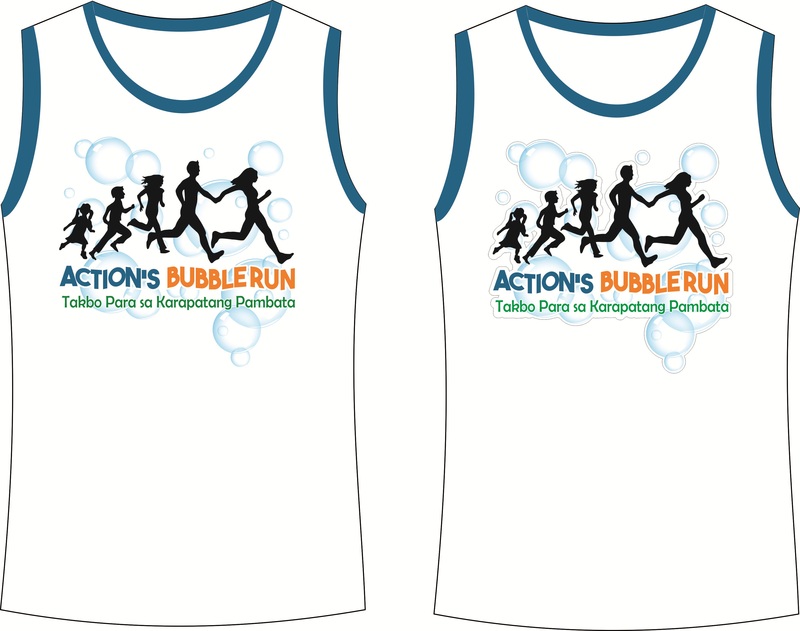 For only P100, you may avail of this event singlet in ADULT (extra large, large, medium, small, extra small) and KIDS (large, medium, small) sizes. 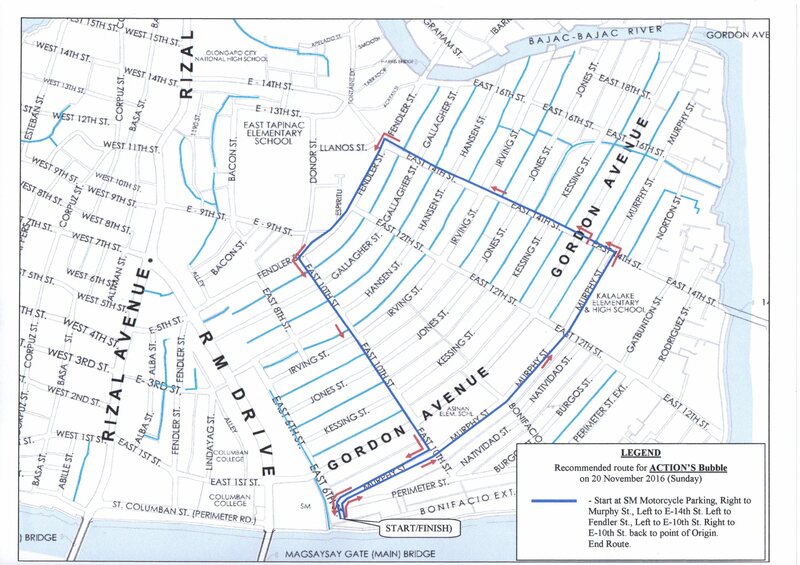 Below is the route map for the BUBBLE RUN, starting from SM City Olongapo. The STARTING/FINISH LINE is located at the intersection of East 6th Street and Murphy Street, going all the way to Murphy Street, then turn left at East 14th Street, go straight then turn left to Fendler Street, go straight then turn left to East 10th Street, go straight again, then turn right to Murphy Street, towards the same location where everyone started.